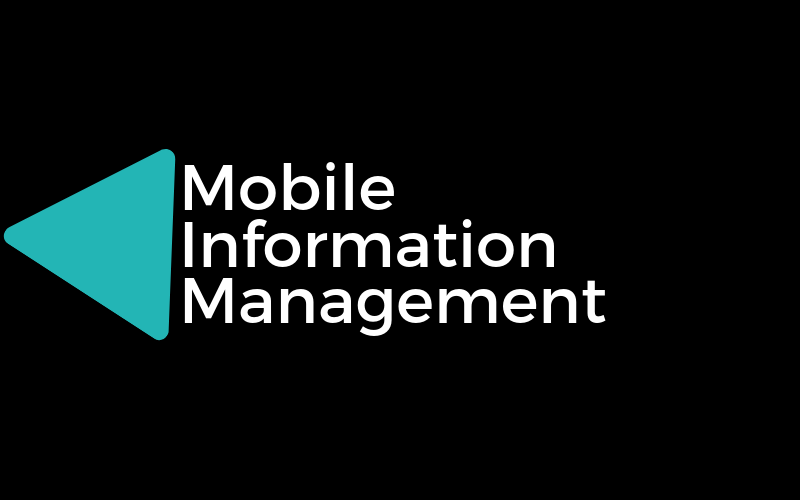 Data Security and Protection: What Is Mobile Information Management? The Bring Your Own Device (BYOD) programs have seen employees bringing an average of four devices – the laptop, smartphone, tablet, and accessories like smartwatches to the corporate arena. These personalized devices are being used to access loads of information or data. For a company, this raises serious security issues. Businesses follow Enterprise Mobility Management (EMM) security solutions to safeguard sensitive data and prevent unauthorized access. Broadly speaking, EMM is concerned with managing and securing data across three interfaces – the device (Mobile Device Management), the application (Mobile Application Management), and the data itself (Mobile Information Management or MIM). Devices and applications have layered inbuilt security features. For the purpose of this article, we’ll focus on how corporations manage, monitor, manipulate, and secure data flowing through devices and applications in a manner that protects the company and its employees. MIM is a protocol (a kind of specialized software) that segregates data in such a way that the system becomes smart enough to know which data is sensitive and needs protection (and access restrictions) and which information is safe enough to share in the public domain. Once the nature of the data is clearly defined, you can build layers of access permissions. MIM manages data in such a way that if you’re handling sensitive boardroom presentations, the system automatically shuts down the features that allow you to share the info with the world outside. At the same time, if you’re handling company marketing material or posting a PR video on Facebook, you don’t hit a hurdle. Ultimately, it’s not our goal to develop MIM in isolation. As we move forward, and as corporate operations become more complex, you’ll see MIM synergizing with MDM and MAM to synchronize documents, images, and videos across devices and various applications. MIM allows users to receive a comprehensive view of company data without wasting time flip-flopping different apps. The corporations leverage MIM to exercise better control over the spread and assimilation of data and the way that files are organized. With the help of MIM, the devices and apps that view or manipulate the data can do so only within the boundaries of the company’s secrecy and security policy. Where Do We See MIM in Action? If you want a live example of the MIM protocol in action, consider the Microsoft Rights Management Settings that document editors and email providers use. Within this system, you can place reasonable or water-tight restrictions on the way people use sensitive documents and company emails. Microsoft uses the term Information Rights Management (IRM), the goal being to avoid misuse of confidential data. Microsoft SkyDrive, Google Drive, and Dropbox are prime examples of MIM where individual users get to define which data remains in the private domain and what is shareable. At the corporate level, you’ll find a clutch of popular MIM products – Nomodesk, WatchDox, RES HyperDrive, and VMware Octopus are a few examples. What we have learned is that the Mobile Information Management (MIM) system contributes to building stronger security protocols that protect critical and sensitive information that a company can’t afford to fall into the wrong hands. The security and the safety of data become the overriding priority. Let’s take a closer look at how MIM achieves that objective. Storing information on servers and allowing millions of user devices and apps to access that info opens a company to cyber-attacks and data theft. External devices may leak information through the cellular, Wi-Fi, and Bluetooth route. The devices and applications may or may not have their own inbuilt safety protocols, but to become ultra-safe, we need stronger protection that locks the data itself. A significant weakness in older versions of Apple’s iOS and Google’s Android operating systems was their inability to prevent data leakages. MIM overcomes the universal limitations of devices and apps by strengthening the security of the data residing in the company’s server. MIM secures data in two ways; one is through data encryption, and the second is by restricting access to authorized users only. Regardless of the device or application, you may be using, you won’t be able to access data unless MIM identifies you to be the right person to access the information. MIM makes it mandatory for users storing corporate data on mobile devices to follow the laid down security protocols and strengthens security by making you use passwords. If we are to protect the secrecy and privacy of company data, we need to overcome the vulnerability of devices and applications; this purpose is served using MIM’s Information Governance (IG) strategy. Basically, information Governance refers to data management policies and guidelines that define precisely how the user engages company data. An IG strategy ensures that crucial information does not move beyond the confines of the individual user’s domain to third parties. Framing the Rules for Data Engagement: You create a detailed inventory of all the rules that users need to comply with when they engage company data. Setting up your compliance regime: You set up a comprehensive data management and compliance module that punishes non-compliance. For example, you could insist on power-on passwords or strengthened password-based authentication, and any user/device can be blocked for non-compliance. Microsoft’s Exchange ActiveSync and IBM’s Notes Traveler are already providing enforceable compliance regimes. Enabling a Tracking and Audit Reporting System: You create a time-stamped log or a record of every user and how that user engages the data. This builds a growing database that can be reviewed periodically to isolate irregular practices or unauthorized use. The mobility management market grew to a humongous $3 billion in 2014, and it’s expected to rise further at a scorching pace of 30 percent year-on-year. MIM solutions will be in higher demand when the modern corporate worker engages mobiles, tablets, and smartphones as he travels more or becomes home-based and far removed from corporate offices. Only a well developed MIM architecture is capable of handling large data flow between devices and apps. As data becomes more mobile with access points growing by the millions, MIM’s IG regulatory framework will provide regular updates on data access and usage. Naturally, the rules that govern data manipulation will need to change keeping in pace with growing data dissemination. MIM provides the flexibility to a company to respond faster to data usage and adopt policies that give it greater control over mobile devices. Asia, the Middle East & Africa, and Latin America are believed to be significant growth centers for data mobility management services in the coming decade. The payments and banking industry are vital sectors that will require the data protection and security features that MIM delivers. To cite the example of the healthcare industry, the completeness, accuracy, and relevance of information (data) are crucial for improving the quality and safety of patient care. MIM is increasing the efficiency of healthcare providers, besides reducing costs. The privacy and confidentiality of patient information are protected when data is handled ethically and responsibly. MIM provides the kind of robust architectural framework that not only ensures caregivers function within legally defined parameters, but their work is also accountable and auditable. Various sectors of the economy are bound by compliance regulations that are punishable if they are breached in word or spirit. Take for example The Health Insurance Portability and Accountability Act (HIPAA) that sets standards for patient care and patient health record maintenance. MIM can provide valuable support to industries by incorporating a complete set of compliance rules within MIM’s architecture. Once regulations and compliances are codified within MIM and then linked to data mobility, users will not be able to move outside the confines of the law, either knowingly or unknowingly. MIM emerges as a vital tool for managing legal compliance in any industry. Three core developments completely transform the way we store, use, and secure data – the paradigm shift from desktop devices to handheld devices for accessing the internet, the hosting of new apps on cloud-based platforms, and the Internet of Things (IoT) that moves large data streams between devices. With data moving on a scale that is unprecedented, those companies will do well that leverage Mobile Information Management protocols to facilitate remote access to corporate data resources in a safe, efficient, and secure manner. Though we have focused on the Mobile Information Management system, this is not going to function in isolation. Future data-centric strategies will witness the increasing synergy between MIM, MDM, and MAM that will power the Enterprise Mobility Management (EMM) security solution. Blockchain and Data Protection: Is Blockchain GDPR Compliant? © 2019 MICS. All Rights Reserved.